See Glossary of Terms >† The Adviser has contractually agreed to maintain the total annual fund operating expenses at stated levels, exclusive of certain expenses such as acquired fund expenses and dividend and interest expenses on short sales until 02/29/20. See Prospectus for additional details. 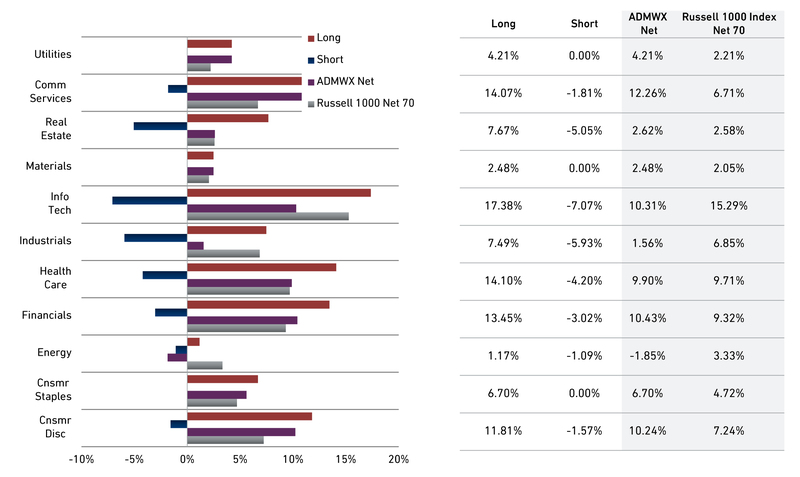 Our strategy combines decades of research into the low volatility anomaly, as well as research into drivers of stock returns over time, to build a portfolio that is 100% long stocks with low predicted beta/high predicted alpha and is 30% short stocks with high predicted beta/low predicted alpha. Using multiple lenses while viewing stocks not only provides diversification, but also multiple sources of potential return.